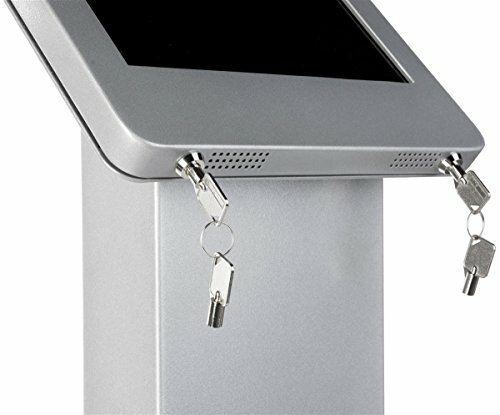 These touchscreen holders support iPad Pro 12.9" devices measuring up to 8.8"w x 12.3"h x .5"d. Each of these browsing stations serves as an interactive marketing tool in retail and other commercial environments. These floor standing iPad stands feature a hidden "home" button and "audio port" for data security. These technology kiosks feature a rotating design to enable horizontal and landscape viewing. To prevent theft and tampering in public venues, these freestanding enclosures are lockable.